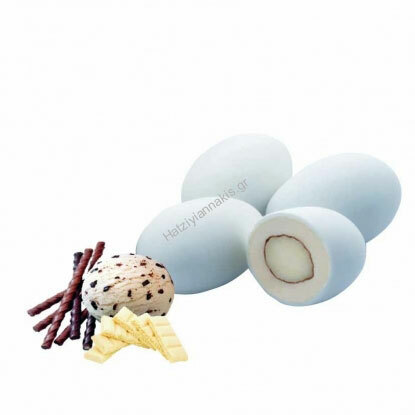 Sugar almonds from Greece Hatzigiannakis, whole roasted almond with real white chocolate and stracciatella flavor, coated with a layer of sugar. Choco Nuts Premium Series. https://www.preciousandpretty.com/2012/03/greek-koufeta-hatzigiannakis.html Greek Wedding Favors|Orthodox Crowns|Stefana|Baptism Invitations Delicious sugar almonds with stracciatella flavor Delicious sugar almonds with stracciatella flavor by Greek Wedding Favors|Orthodox Crowns|Stefana|Baptism Invitations Product #: Greek Wedding Favors|Orthodox Crowns|Stefana|Baptism Invitations_6679146707017524477 5 stars out of 5 reviews.